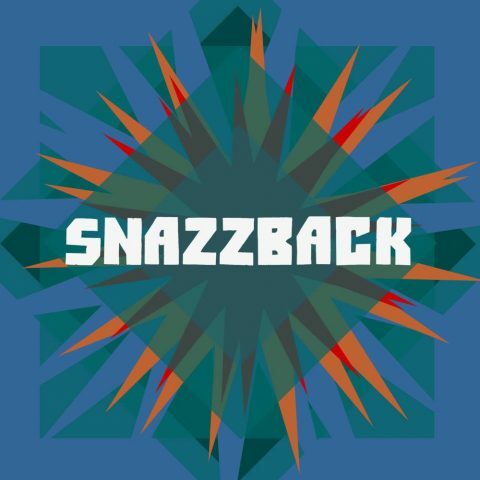 If you’ve ever wandered around the harbourside on a sunny day, chances are you’ve come across Snazzback busking and basking in the sun. The eight piece jazz-world-fusionists have released their much anticipated debut album Hedge, a colourful seven track album which is packed with glistening stabs and beefy horn sections. Opening track ‘Park Ark’ begins with a steady pace, setting the foundations wonderfully for the next epic tracks which will soon follow. A song that is just shy of seven minutes seems short in comparison to the grandiose nine minute beast which closes the album. ‘Park Ark’ is a transfixing tune with plenty of layers to feast your ears upon. The lingering double bass provides mean groove along with a cluster of sax lines. A genre-bending tune which is a prime example of Snazzback’s influences with Latin and world music. The exhilarating ‘Mr. Frimp’ then follows, Chris Langton’s irregular drum patterns and Rich Allen’s slick and smooth double bass made for a contemporary math-jazz vibe with plenty of guts. 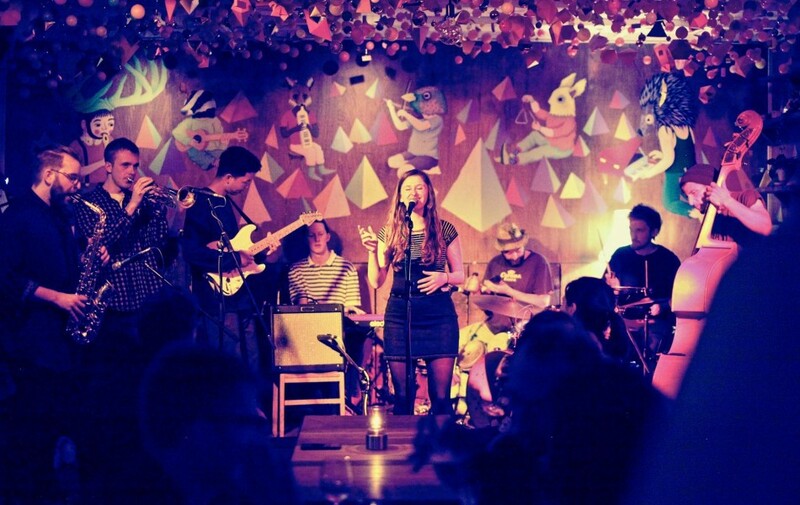 An enticing and exiting number which features a stunning performance from singer China Bowls which adds an neo-soul twist. Full of unexpected turns including a pretty mean and jaggedy sax riff from Dave Sanders which then amalgamates into one grandiose ending. The first single that we were teased with ‘Ellsdon In A Hedge (Pt 1)’ is a shimmering tune which is embellished with China Bowls’ silvery vocal runs. There are flashes of afrobeat and blues throughout, however still remaining rooted in their trademark jazz/neo-soul sound. ‘Ellsdon In A Hedge (Pt 2)’ begins with a slick transition from its predecessor, almost as if molding into one lengthy epic. Packed with rich brass sections and glistening guitar riffs, I can definitely see this becoming an infectious singalong tune in their live performances. ‘Soggy Pocket’ is an upbeat foot stomping number which begins with a delicately plucked guitar before the band kicks in with various stabs and shimmers of world and jazz fusion music. Trailing double basslines and subdued bongos colour the foreground as pockets of horn sections take centre stage, creating a vibrant and buoyant atmosphere. I’d be seriously surprised if you don’t find yourself dancing along to this one. The nine minute monster ‘D.M.S’ begins with an interstellar intro and a soothing humming from China Bowls. This tune is much more centralised on echoed vocals and sizzling trumpet lines, a leisurely approach to the genre which is a delight to hear. A lush lullaby which is nonetheless intoxicating. Ending the album is ‘Flump’ – I’d be interested to know the motive behind some of the names of these songs. A tale of two halves, a twangy and sleep start which is then picked up with fluttering guitar riffs and dreamy sax lines – It feels as though I’m floating in space. The energy slowly rises with stabs of double bass lingering and crashing drums. Ending with a swarming and throbbing sax part which is immensely insane. Snazzback once again cementing themselves as a fine example of Bristol’s young and thriving jazz scene. Snazzback’s debut album Hedge is released on 23rd October with a headline show at The Crofter’s Rights to celebrate.